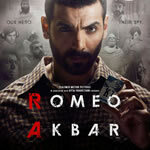 Download Romeo Akbar Walter (2019) Songs. Romeo Akbar Walter is directed by Robby Grewal. Music Composed by Ankit Tiwari, Sohail Sen, Shabbir Ahmed, Raaj Aashoo and its release date is April 05,2019. Romeo Akbar Walter is a 2019 Movie and it contains 0 Mp3 Songs that can be downloaded below. Romeo Akbar Walter Songs Are Not Available Yet!